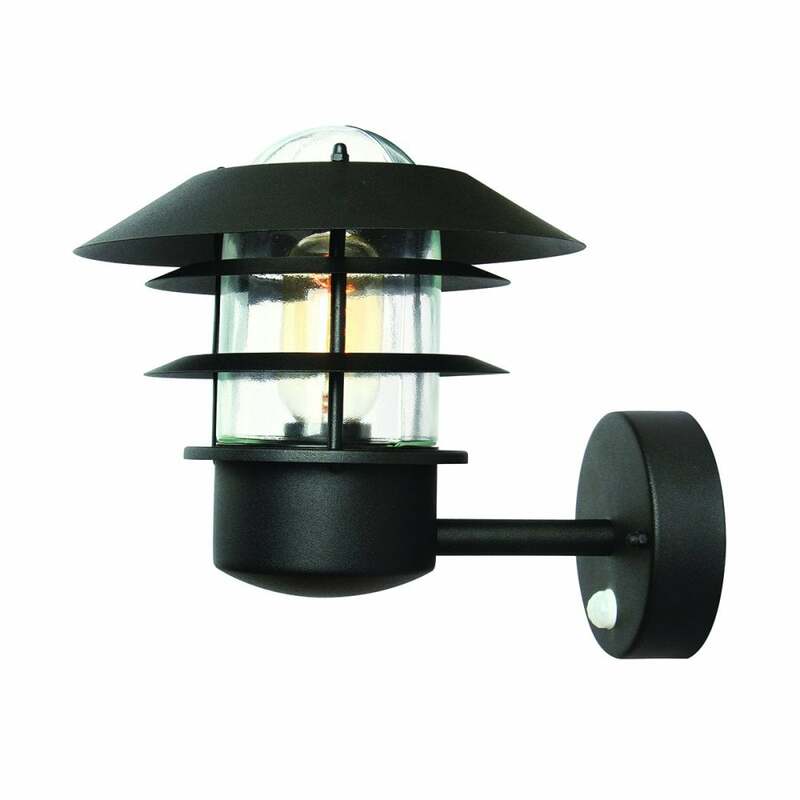 Elstead Lighting Helsingor single light fitting displays a simple, circular wall plate with a stem supporting a contemporary, lighthouse style upwards lantern in matt black finish with clear glass and incorporating a PIR sensor. The product code for this Elstead wall pedestal is HELSINGOR PIR BK. This modern range is also available without a PIR sensor, a bollard or a post light all for a co-ordinated look. They are available to order from our website along with the rest of the Scandinavian collection from Elstead Lighting.